. :I THREW UP: Indiana gallery:. 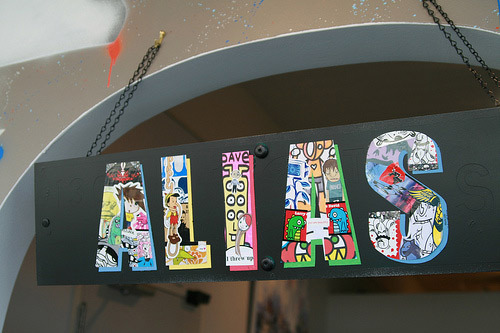 ALIAS sign featuring "I threw up" sticker.